Oh my word, you guys! For this week's Frugal Round-up, I thought it would be fun to share a bit of fall inspiration. First up, this very unique Hydrangea and Antler wreath shared by Little Farmstead. Definitely has that Autumn vibe! 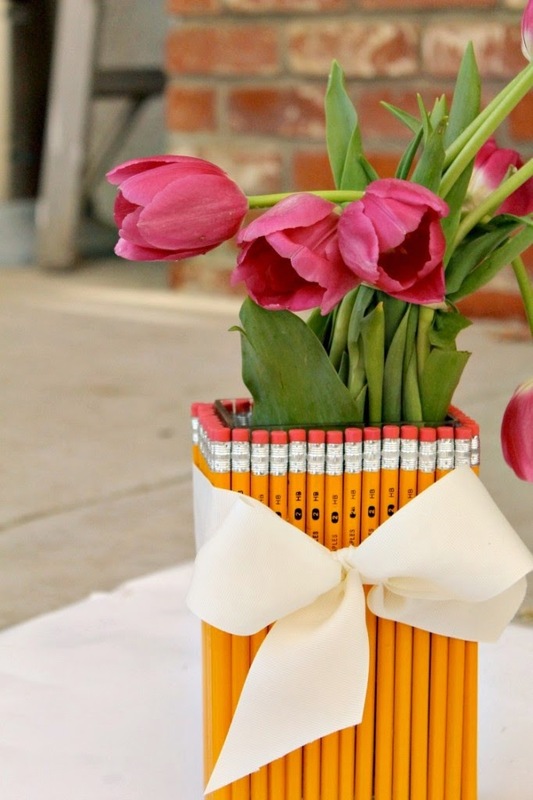 Next, this clever back-to-school teacher's gift shared by Blonde Lab. So simple, so cute! I'm glad you forgot, b/c I went to bed early last night. :) Thx for hosting, Wendy! haven't joined in a while, thanks for hosting Wendy and have a great weekend! Hi, Wendy! Thank you for hosting this fun blog party! So happy to have come across your beautiful blog! I'm your newest follower. Looking forward to keeping up with you! Sounds like my life, I forget things way too much! Thanks for the party! Hi Wendy! I enjoyed being a part of Frugal Friday for the first time! Thank you for hosting it. I've enjoyed reading some of your posts! Have a great weekend! I haven't been here in a while, nice to be back. Everything looks lovely,Thanks for hosting! !